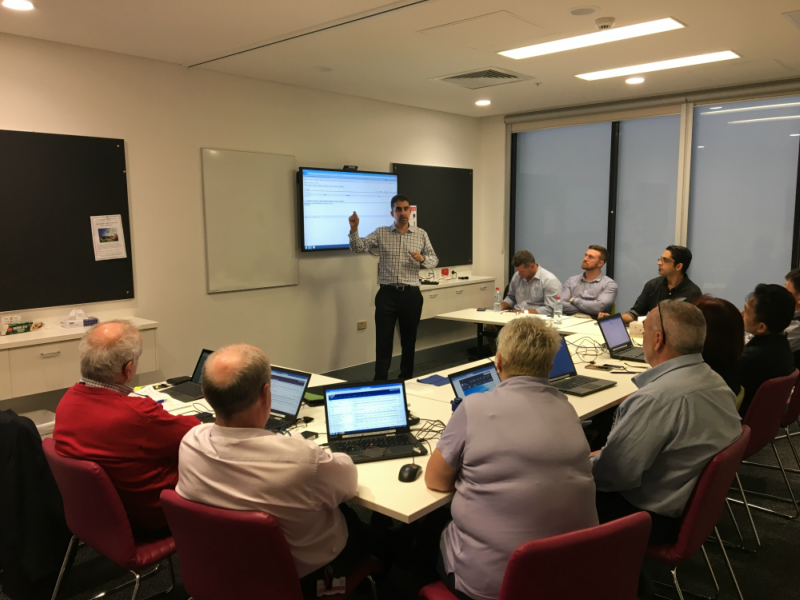 AFM online implementation team member David Viviers training operations and maintenance staff in the lead-up to the Blacktown go-live for AFM online. On August 16, Blacktown Hospital will roll out its new state-wide, integrated assets and facilities management system AFM online. WSLHD asset system and sustainability manager Glen Hadfield said the system streamlined and simplified the allocation of assets, documenting where they are located, as well as providing an easier way to book or request maintenance work. “This online process replaces the current system for lodging maintenance requests,” he said. Training sessions for the new system start on August 15. Staff can register by visiting My Health Learning. Venue: Meeting Room 7, Clinical Services Building, Blacktown Hospital. Following the successful implementation of the system at Blacktown Hospital, it will be rolled out across the LHD. We are falling for you!